This year has been energetically intense. The path of self-empowerment toward authentic, loving interactions is a path of courage and determination. In one moment it feels like bliss, in another you’re being called to hold a healthy boundary. In one moment you feel oneness with all life, in another moment you may need a little alone time to regroup yourself. Balance is a wonderful thing. We are in a polarity integration experience. Moving beyond duality means integrating opposites into new creation. It is the neutral neutron that integrates two opposites in the atomic structure. It creates the stability for Love’s natural pull of life. This brings us to the energies of August. As I sat to read the energies, I got nothing. That went on for quite a few days. I don’t mind that, the information will surface when appropriate, though it is kind of unusual. The most I got about it was a, “Not yet,” one time. Finally, I was shown a blank slate. With this vision came such a powerful flow of Love and excitement that I immediately began to cry. In the Light Language video for the month, I noticed that the Light Language was much more intense than it generally is for the video, and I had the same experience of sweet tears once I came out of the channeling. I was told that there has been a lot of internal movement within people recently that has changed the flow of the energies. WOW! I know it may not be obvious, but that is HUGE! This is being played out in so many different ways in the world. To look at the surface of it, much of what is going on doesn’t seem like a wonderful thing. But people are being faced with such extreme examples of things that need to change, that they cannot continue to ignore it. In addition to the challenges, there is so much good going on in the world, within people, within communities, within you. Love is the natural pull of life. I still feel a resonance similar to last month, in that we are being called to consciously flow our energy into the world more. This is prayer work, this is Light work. Love compels that which is resonant, it doesn’t overpower the choice of another. It creates a path for information to anchor and choice to follow. You are becoming a conscious, coherent, being that embraces the unknown, finds a perspective of what Love’s potential can create, and Lights that path with your Love. It is work—the work of Love. So worth it. What does a blank slate mean to you? What would you like to have a fresh start? What would you like to see start anew? In your own life, and for humanity? Flow your imagination into it and let your heart shine like a beacon to compel new solution. You don’t have to solve it. Just love it. 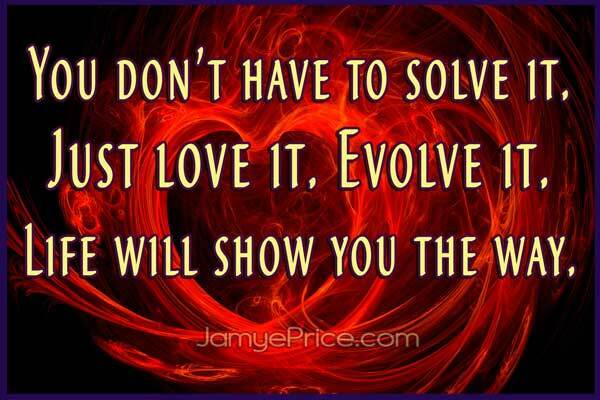 Evolve it. Life will show you the way. If you find yourself frustrated that nothing is changing, allow that frustration its moment to flow. This allows it (and you) to transform into a new desire, a new boundary, a new idea, a new patience, a new-trality. If no frustration occurs, yay! Honor the flow that occurs and go with it. It is gently leading you in a wonderful new direction. I did this recently with the media machine. I knew I didn’t like the control and deception, but I hadn’t completely found my neutrality with it. I finally got totally clear on how it is creating the very thing that it wanted to control out of existence—empowered people choosing. I knew it was logically a potential, but I hadn’t fully accepted that in my heart. Now, my loving energy flow amplifies anything I come across that is media fear-mongering and lies, whereas before, some resentment/fear, etc. was creating resistance and inhibiting my Love flow. I don’t have to avoid it, I don’t have to immerse in it. I just allow my intuition to show the most appropriate flow for me. Areon is very specific about this during their channelings. You never just watch the news, think a thought, or hear a story. Your vibration interacts with it, you receive it, you take the information in. We are a connected collective. It is important to hold your boundaries of what you can handle interacting with, what you feel drawn to, how you can stretch and strengthen, and especially—how you can shift what you are feeling to something that supports and nurtures you and life. Neutrality allows the interaction to be stable and two opposites to meet and transform within you. That is your prayer work. Envisioning the challenges humanity is experiencing as creating people working together, growing, understanding, and choosing Love. Taking those steps in your own life to Love yourself, ease into life, and connect with life. There is a sweetness, an excitement, and the energy of support that is palpable with August. Challenge free? Humanity isn’t there yet. But WOW! There are SO many hearts that are calling for more peace, more equality, more safety, more honesty…it is changing things! In this month of a blank slate awaiting your attention, spend a little time each day imagining what you want to experience with a fresh start, a new story. You know there is a better way, you see it clearly in your heart. Take down the walls that hold back the Love from making this world a better place. Love this world. Love this Life. Love the courage you’ve had to pave a new way of being. It is time to set your heart free! It changes everything.